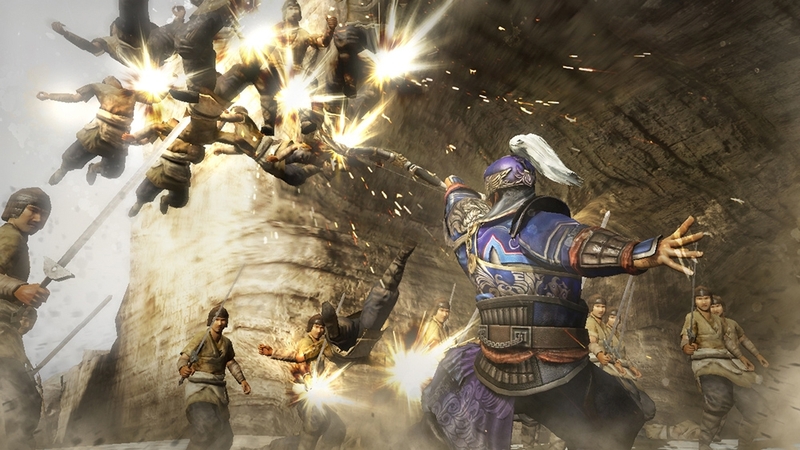 The "Dynasty Warriors 3" costumes for all 39 playable characters who appeared in that title will become available for selection under CHANGE OUTFIT. The new battlefield "Hanshui (DLC 8)" will be added to Free Mode. Furthermore, you can obtain a new animal, Saber-toothed Tiger, in "Hanshui Animal Battle." New wallpapers will be added, which can be viewed in the Gallery and set to display on the loading screen. 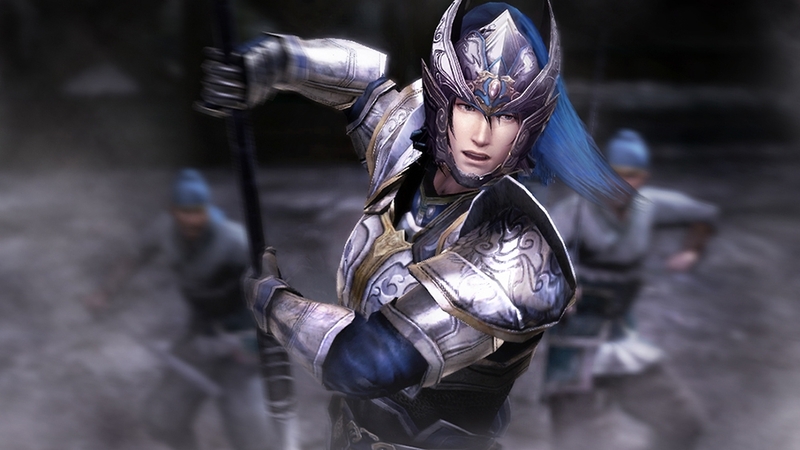 There will be 77 added wallpapers, each featuring the character art for one of the playable characters, from the "DYNASTY WARRIORS 8 TREASURE BOX." Six new versions (a powerful version and a unique version) of the recently released new weapon type, "Flame Blade," "Revolving Crossbow," "Sabatons," "Emei Piercers," "Bladebow," and "Paired Fans," will be made available. The new battlefield "Liang Province (DLC 7)" will be added to Free Mode. Furthermore, you can obtain a new animal, Polar Bear, in "Liang Province Animal Battle." The new battlefield "Yangping Gate (DLC 6)" will be added to Free Mode. Furthermore, you can obtain a new animal, Speckled Mahogany, in "Yangping Gate Animal Battle." A new Camp Theme, "Retro," will be available to select under SET CAMP THEME in Ambition Mode. Additionally, new music tracks will become available to further enhance the theme. 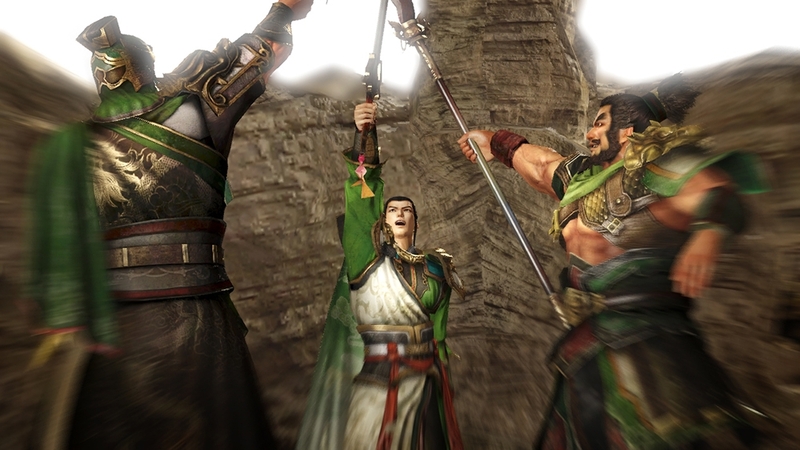 The "Dynasty Warriors" costumes for Cao Cao, Zhou Yu, Lu Xun, Guan Yu and Zhang Fei will become available for selection under CHANGE OUTFIT. The new weapon type "Bladebow" and "Paired Fans" will be added. A new Camp Theme, "Tropical," will be available to select under SET CAMP THEME in Ambition Mode. Additionally, new music tracks will become available to further enhance the theme. The new battlefield "Nanzhong (DLC 5)" will be added to Free Mode. Furthermore, you can obtain a new animal, Blue Bird, in "Nanzhong Animal Battle". New music tracks will be added that can be selected before battle or in the Sound Test. 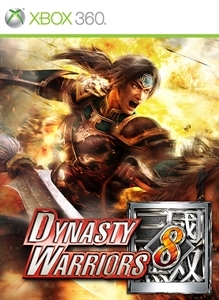 Eight tracks from "DW7" will be added. The "DYNASTY WARRIORS 4" costumes for all 46 playable characters who appeared in that title will become available for selection under CHANGE OUTFIT. Additional stages will be added to Free Mode in which new versions of each weapon type will be available to acquire. There are a total of 25 new weapons available for acquisition in this set. The "DYNASTY WARRIORS 5" costumes for all 46 playable characters who appeared in that title will become available for selection under CHANGE OUTFIT. A new Camp Theme, "Sci Fi," will be available to select under SET CAMP THEME in Ambition Mode. Additionally, new music tracks will become available to further enhance the theme. Additional stages will be added to Free Mode in which new versions of each weapon type will be available to acquire. There are a total of 26 new weapons available for acquisition in this set. New five wallpapers will be added, which can be viewed in the Gallery and set to display on the loading screen. The new weapon type "Sabatons" and "Emei Piercers" will be added. The new battlefield "Mount Qi (DLC 4)" will be added to Free Mode. Furthermore, you can obtain a new animal, Flame Wolf, in "Mount Qi Animal Battle". New music tracks will be added that can be selected before battle or in the Sound Test. Eight tracks from "DW6" will be added. The "DYNASTY WARRIORS 6" costumes for all 46 playable characters who appeared in that title will become available for selection under CHANGE OUTFIT. 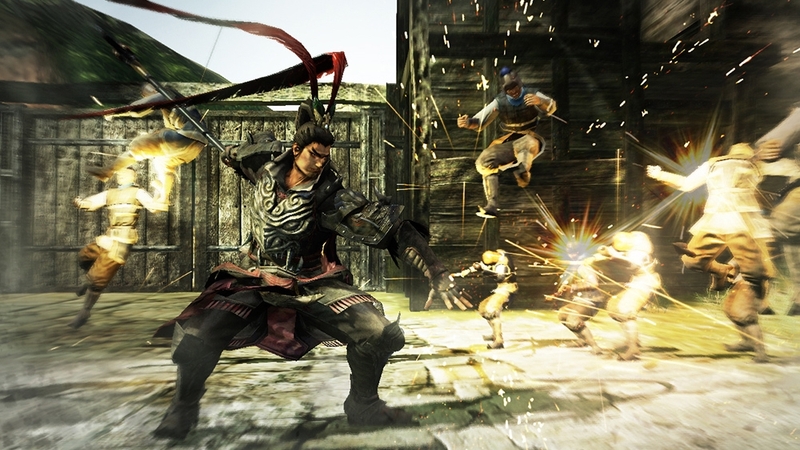 Play DYNASTY WARRIORS 8 with voices in the original Japanese. A new Camp Theme, "Military," will be available to select under SET CAMP THEME in Ambition Mode. Additionally, new music tracks will become available to further enhance the theme. Additional stages will be added to Free Mode in which new versions of each weapon type will be available to acquire. There are a total of 35 new weapons available for acquisition in this set. A new camp theme, "Amusement Park", will be added, which can be selected under "Set Camp Theme" in Ambition Mode. A new music track will also help set the mood! Original costumes for all 21 playable characters from the kingdom of Shu will become available for selection under CHANGE OUTFIT. Enjoy new and unique costumes that give a fresh look to every battlefield!